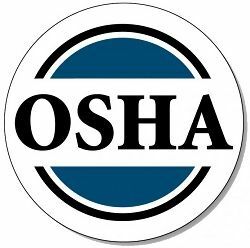 On November 3rd it was announced that OSHA would increase penalties for the first time since 1990. The new provision is entitled the "Federal Civil Penalties Inflation Adjustment Act Improvements Act of 2015." This law compensates for the “freeze” on financial penalty increases that had been in place for the last 25 years. The Agreement allows OSHA to make a one-time “catch-up” increase to compensate for the more than two decades of no increases. The catch-up increase can't exceed the inflation rate from 1990 through 2015 as measured by the Consumer Price Index (CPI), which will be about 82%. Assuming OSHA applies the maximum catch-up increase allowed, the current maximum $70,000 fine for a Repeat and Willful violation would grow to as much as $125,000 each. The new act does include a potential exception to the increases. OSHA is allowed to forego following the guidelines if “increasing the civil monetary penalty by the otherwise required amount will have a negative economic impact [on America]” or “the social costs of increasing the civil monetary penalty by the otherwise required amount outweigh the benefits.” This language gives OSHA considerable latitude to apply these fines as they see fit. After this one-time catch-up increase, OSHA will use inflation rate as a guide for future increases. Employers may have several months to anticipate these higher penalties, but action on safety should begin immediately. Ensuring your forklift fleet is being properly maintained by service professionals and that all your forklift operators have current training on the equipment they operate, in the facility they operate them in, will keep you protected from these fines. As we have discussed in previous articles forklift operator training and forklift maintenance have benefits that go beyond avoiding expensive penalties. Workplace safety protects workers, improves morale and can actually help the bottom line profits for all workplaces. Rather than just treating safety as an expense, management should work to develop a business plan to achieve safety goals, avoid fines, and reduce insurance expense and lost time. Visit our Operator Training page and learn more about our Forklift Maintenance Options to ensure your fleet, and operators are safe and productive. Then contact us at 888-550-6836 for a quote to proving ongoing training and maintenance to ensure they both stay within safe operating parameters.